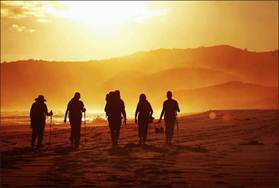 Leading Victoria-based walking tour operator bothfeet is offering special Early Booking Discounts for its 2012/2013 season of guided and self-guided Great Ocean Walks. Book before 31 July 2012 for travel between 1 September 2012 and 31 May 2013 and you can save five per cent and enjoy savings of up to $150 per person. Groups of ten who travel together on the same departure have exclusive use of the lodge and are eligible for a 10 per cent discount, representing a saving of up to $300 per person. 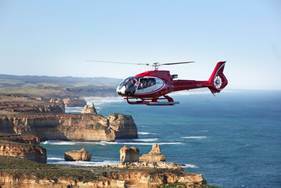 The ever popular four day Twelve Apostles guided walk now also includes a spectacular helicopter flight over the stunning coastline at the end of the walk and with rates being held at the 2011/12 levels, offers great value. Guests are accommodated in bothfeet's own purpose built eco retreat at Johanna beach, only 30 minutes from Avalon Airport. Rates commence at AU$1,895 per person (if booked before 31 July 2012) and include three nights in the four star eco-lodge; all sumptuous meals prepared by the internationally trained in-house chef; morning and afternoon tea; use of walking equipment; daily guided walks; vehicle support every day, a ten minute scenic helicopter flight and complimentary return transfers from Melbourne to the bothfeet lodge. As a bonus for solo travellers there is no single supplement charged. Early booking rates for the seven day walk start from AU$2845 per person. The Great Ocean Walk is considered to be one of the world's greatest coastal hikes. Wild and remote, it offers the perfect short break hiking holiday. bothfeet offers a range of different walking options along the renowned track. Destinations include Johanna Beach, Moonlight Head, The Gables, Wreck Beach and of course the stunning Twelve Apostles. bothfeet guests hike the great outdoors during the day, accompanied by an expert eco-guide who points out the spectacular flora and fauna along the way. They then retreat to the eco-chic bothfeet walking lodge in the evening, a serene retreat ideal for couples, groups and single travellers alike. From this tranquil base, a maximum of 10 guests enjoy stylish accommodation, delicious cuisine served in a private licensed dining room, and 24-hour foot spas. As well as guided walks, bothfeet offers self-guided walk options, where travellers follow bothfeet's track notes independently by day and are accommodated overnight at the lodge. Early booking rates start from AU$1040 per person for the 3-day self-guided walk. Included in the price is a two night lodge stay; three-course daily dinner; breakfast; packed lunch; walk transfers from the lodge; foot spa; satellite tracking beacon to carry, and track notes. For a full list of bothfeet walks, visit www.bothfeet.com.au or phone 1300 767 416.